Large format retail property sales in Australia have broken the $1 billion barrier – the highest sales figure on record - to cap the strongest growth in more than a decade, according to the latest Savills Australia research. Savills Australia’s National Head of Research Tony Crabb said 36 property sales in the 12 months to December totalled $1.082 billion which was up significantly from the $555 million recorded in 2014 and on the five year average of $719 million. Mr Crabb said the market leading yields on offer in the Large Format sector was the key investment driver underpinned by the relatively strong bulky goods market fundamentals. "The fact that investors are still able to achieve very strong yields has undoubtedly been the major attraction," he said. 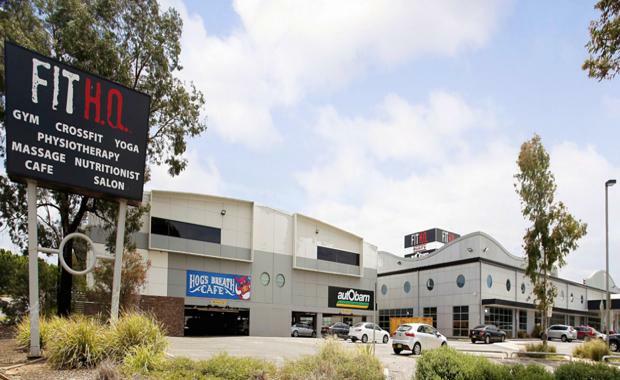 "Investors are looking at up to 10 per cent for large bulky goods centres with short and medium term lease expiries, but they are also looking at smaller, well located, properties that may deliver well below that, perhaps around 7.5 per cent. "In short, there is interest across the board at the moment for bulky goods properties and the reason for that is that, generally speaking, investors are getting very good value for their money. "He said investors were also well aware of the strength of the sector which was buttressed by record housing construction and population growth, while the shortage of hotel beds, which had influenced the emergence of the (fully furnished) short-stay apartment market, had also impacted the market for bulky goods. "New home building commencements have been trending up and were at record levels during 2014/15, at circa 215,000, which is well up on the 165,000 for 2013," Mr Crabb said. "The RBA has put average dwelling commencements at 155,550 a year over the last 20 years and so we are looking at a very positive trend that has and will continue to flow through to the bulky goods sector as population growth drives dwelling construction and those new householders begin to furnish their dwellings. "Mr Crabb said the market was currently dominated by high net worth private investors with BB Retail Capital (BBRC), headed by Bras N Things founder and Melbourne retail king Brett Blundy, a key player. BBRC owns around 12 Large Format centres nationally. He said sales of brand centres included Homemaker – eight properties sold for a total of $228.81 million, Supa Centa – four properties for $219.1m, Masters - three properties at $102.5m, Bunnings – five properties at $154.18m, and Officeworks three properties at $27.66m.